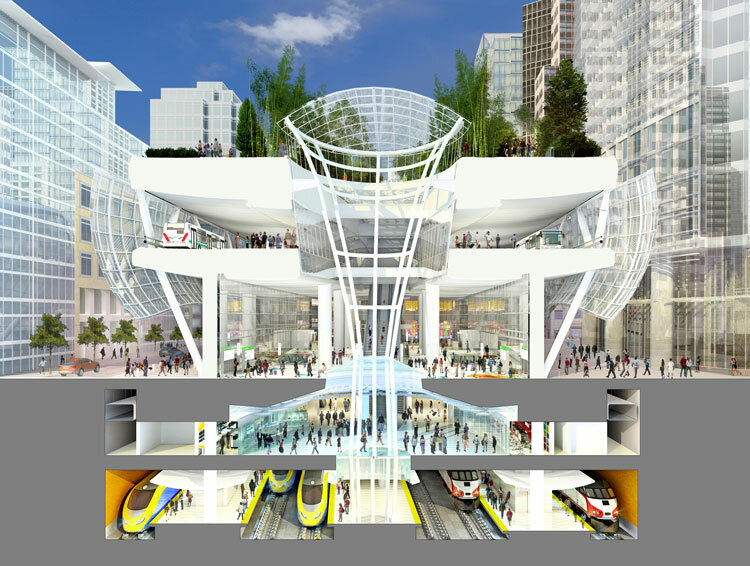 San Francisco — On Tuesday, Sept. 25, crews discovered a fissure in one of the steel beams in the ceiling of the third level Bus Deck on the eastern side of the Salesforce Transit Center near Fremont Street. Out of an abundance of caution, the Transbay Joint Powers Authority, after conferring with design engineers and contractors, temporarily closed the transit center as the agency works with Webcor/Obayashi and structural engineers Thornton Tomasetti to investigate and repair this issue and conduct an exhaustive inspection of all steel beams throughout the transit center. Inspections have begun. All transit operators will temporarily provide bus service out of the nearby Temporary Transbay Terminal at Howard and Main streets until all inspections are complete. The closure was effective immediately.